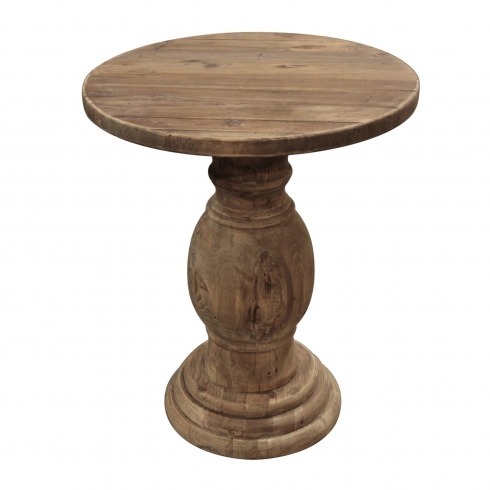 Oliver Table, large - White x White - Antique and Fine Decor for the Home. Rustic yet refined side table may also be used as a small dining table for two. 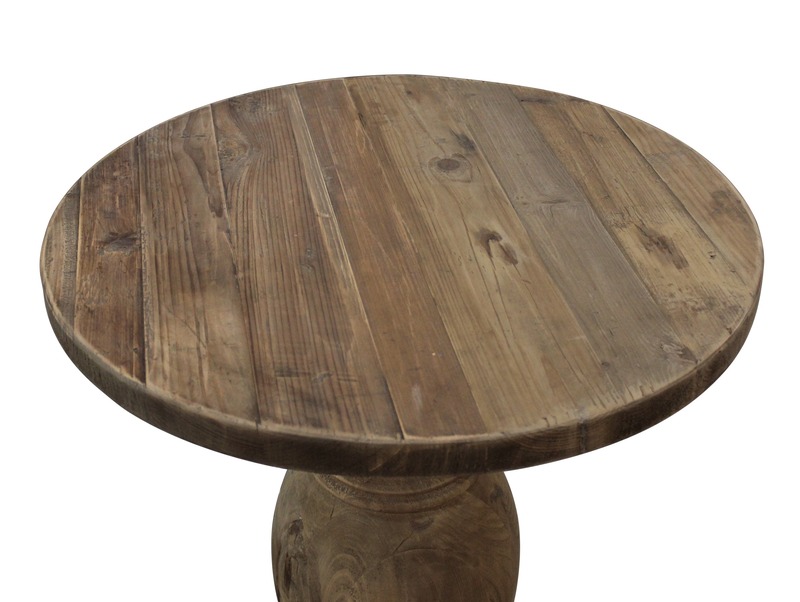 Sturdy turned wood base with wood plank top made of reclaimed solid pine with warm brown patina. Will likely have nail holes, knots and other imperfections, adding charm and character.